Have you ever imagined you would be able to combine a freestanding stove with a practical decorative storage system? This modular system is the solution! 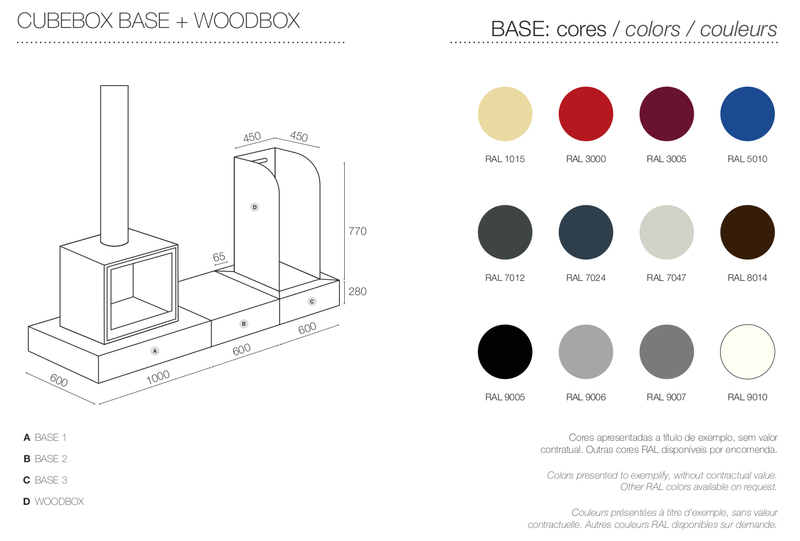 The bases, with drawers included, are available in two different sizes. If needed, there is a practical module with a removable firewood rack (Woodbox) available. This versatile option combines the benefits that an efficient and powerful fireplace insert with the ease of installation that accompany a free standing stove. Its robust assembly and sophisticated design with multiple configuration options won’t leave you indifferent.